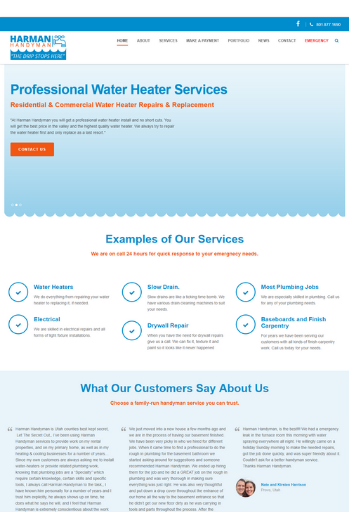 Harman Handyman wanted to keep their logo and color scheme but wanted to redesign the layout of their website. They wanted to have a team photo, a click to call button, and links to Google and Facebook reviews. They wanted to integrate Facebook into the site and focus the site on their business, which is handyman work. They wanted to include a photo gallery to show off their jobs. 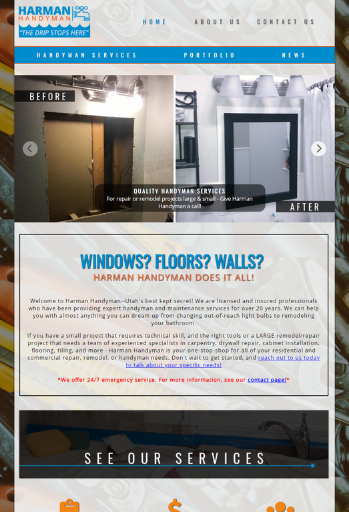 Check out their before and after pictures below and see how we helped make Harman Handyman's dream website a reality!